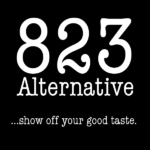 823 Alternative: a 90s, Chillout radio. Posted in 90s, Chillout. Tagged with 90s, Chillout, Electronic, Grunge, indie rock, Lounge.